Ultimate Fighting Championship (UFC) returned to the hurt business last Sat. night (Aug., 25, 2018) with UFC Fight Night 135 from inside inside Pinnacle Bank Arena in Lincoln, Nebraska, airing live and free on FOX Sports 1, and now it’s time to see who went home with the biggest piece of the Reebok pie. Leading the list of payouts was Jake Ellenberger, who racked up one final sponsorship check of $ 20,000 after getting knocked out by Bryan Barberena in the very first round in what proved to be his final fight of his career (recap here). Rani Yahya, meanwhile, also took home $ 20,000 from Reebok after submitting Luke Sanders. The biggest winner of the night, Justin Gathje, only managed to collect a $ 4,000 check from the sports apparel giant following his first-round drubbing of James Vick ($ 10,000) in the headlining bout (relive it here). But that’s not all. Take a look at the rest of the Reebok payouts courtesy of MMA Junkie. According to the payout structure (see it), the more fights you have combined with UFC and the now-defunct World Extreme Cagefighting (WEC) and Strikeforce promotions, the more coin you have for your combat sports piggy bank. And the less fights you have under the ZUFFA banner … well, the less you get. If you have a problem with the structure, take it up with UFC … not Reebok. Jake Ellenberger and Bryan Barberena will lock horns at UFC Fight Night 131 in Utica, N.Y., on June 1. Henry Cejudo and Jake Ellenberger are among four fighters facing potential six-month suspensions following Saturday’s “The Ultimate Fighter 24″ finale event. At last night’s (Sat., Dec. 3, 2016) Ultimate Fighter (TUF) 24 Finale, Jorge Masvidal picked up his second straight win in pretty bizarre fashion as he was awarded a tehcnical knockout victory over Jake Ellenberger after “Juggernaut’s” foot got caught in the Octagon. See it all go down here. 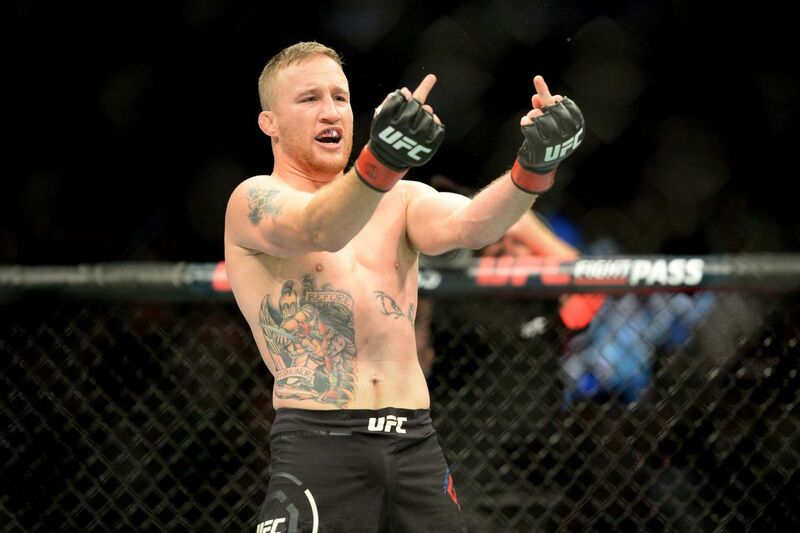 In what was a first inside the eight-walled cage, the win was awarded to “Gamebred” after official Herb Dean got clarification from cage-side officials that Jake simply couldn’t defend himself. As Masvidal sees it, while unfortunate for Jake, had he not played defense by moving and avoiding his attempted strike, the tides could’ve easily turned into his foes’ favor. “It is what it is,” he said. “You were going for a technique, and had I not (avoided it), your technique could have put me out of commission,” stated Masvidal during the post-fight presser via MMA Junkie. Admittedly, Jorge wasn’t too sure at the moment why Jake halted the action, saying that if he was trying to call a timeout, it’s not something he was prepared to stop for, since he was in full attack mode. At the end of the day, “Gambred” has tons of respect for Ellenberger, though he nor anyone else in the division possess the heart and will to win that Masvidal has. That said, Ellenberger intends to appeal the bizarre loss with the Nevada State Athletic Commission (NSAC). For complete TUF 24 Finale results and coverage click here. Jorge Masvidal has a tough fight ahead. Jake Ellenberger is up next for him in a pivotal welterweight bout at The Ultimate Fighter 24 Finale on Friday in Las Vegas. Forgive Masvidal for looking into the future a bit, though. The American Top Team product has had four ranked opponents pulled from him by the UFC in recent years. The latest was Kelvin Gastelum, who Masvidal was supposed to fight last month in Mexico City. Gastelum was yanked from that fight to face Donald Cerrone at UFC 205 in New York. That contest never happened, because Gastelum was unable to make weight. Masvidal (30-11) said Cerrone had the option to face him after Gastelum fell off. Instead, Cerrone will take on Matt Brown at UFC 206 on Dec. 10 in Toronto. Masvidal, of course, was already booked against Ellenberger. But, on the other hand, Gastelum was booked against Masvidal before that fight was scrapped. The guy who knocked Brown out at UFC 201 in July was Ellenberger, who will be across the Octagon from Masvidal on Friday night. This wasn’t the matchup Masvidal wanted. He doesn’t think a win would elevate him in the rankings as much as a win over Gastelum would have. Ellenberger (31-11) is a unique challenge. He’s physically gifted, a good wrestler and has some of the best one-punch knockout power in the division. 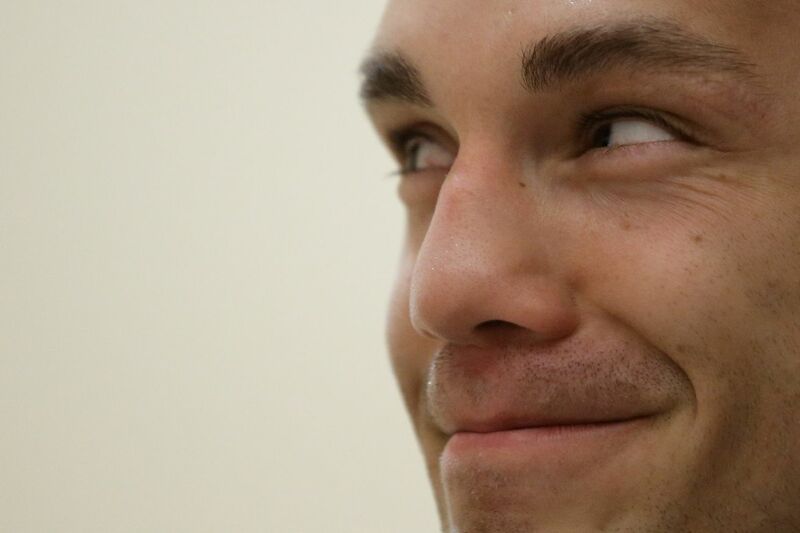 Consistency has been an issue recently for Ellenberger, but when he’s on, he’s flat-out scary. Masvidal believes he knows why Ellenberger has been up and down over the last few years. In Masvidal’s perfect world, he beats Ellenberger this weekend, gets a spot in the UFC’s top-15 rankings, and then gets the bout he’s been seeking against Cerrone.